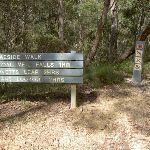 From the signposted intersection, this walk follows the scratched arrow, next to the ‘Braeside Walk’ sign, down the steps to traverse the stepping stones across the creek. 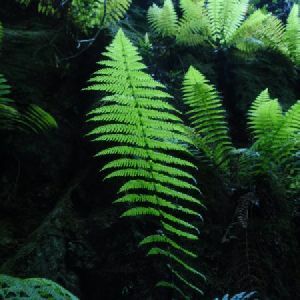 The walk winds left through the ferns, to a picnic table and barbeque above the weir’s brick wall, lower down the stream. 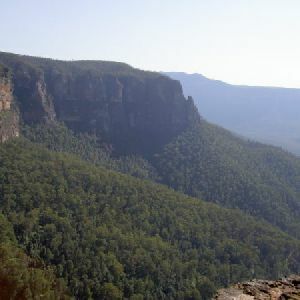 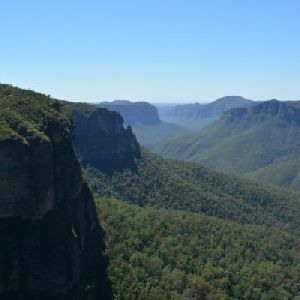 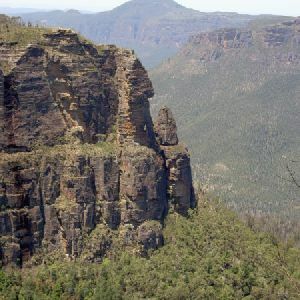 Braeside Picnic Area, Blue Mountains National Park, is a small picnic area on the southern end of the Braeside walking track. 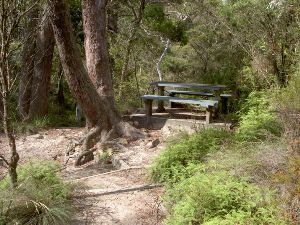 The picnic area has a bench table and stone barbeque. 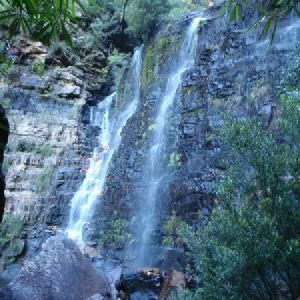 The picnic area is situated next to a small weir and waterfall amongst the ferns. 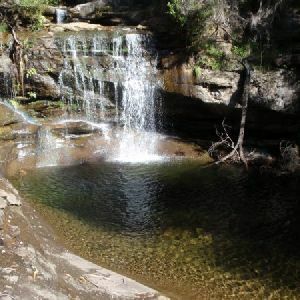 Continue straight: From the Braeside Picnic area, this walk heads down the hill, leaving the weir behind on the left. 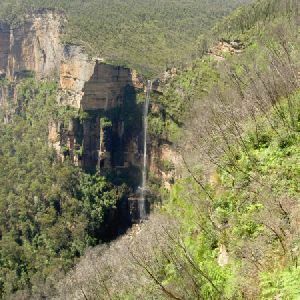 The walk continues parallel to Govetts Leap Brook, below on the left. 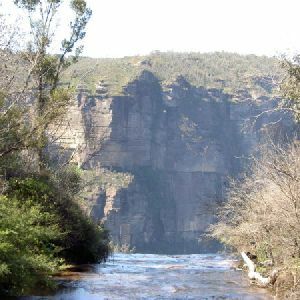 Approximately 500m down the brook, the track passes a few large boulders (on the left of the track). 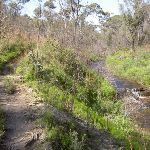 The walk continues downstream, passing an overgrown track (which heads underneath power lines to join up with a management trail above on the hill). 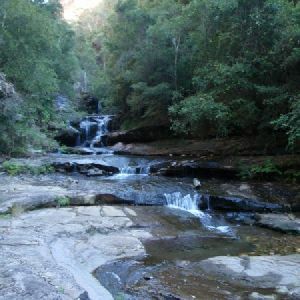 This track is passed by, as the brook is followed for a short time to a set of stairs. 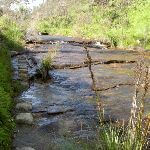 The stairs lead the track to a section of stepping stones which lead downstream. 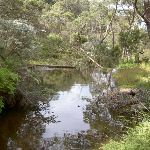 The track then rises out of the brook to continue approximately 100m to the intersection. 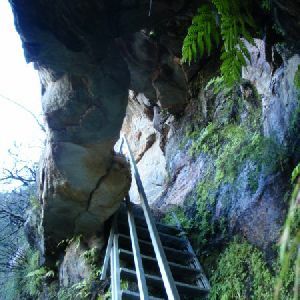 Veer right: From the intersection, this walk heads up the winding stairs towards the cliffs. 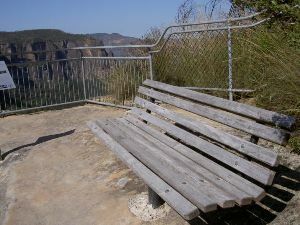 The soon comes to the railed Barrow Lookout, where there is a bench seat. 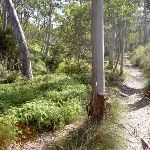 1.1km of this walk has short steep hills and another 80m is very steep. 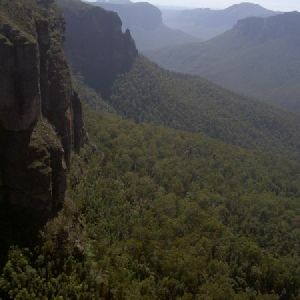 The remaining (60m) has gentle hills with occasional steps. 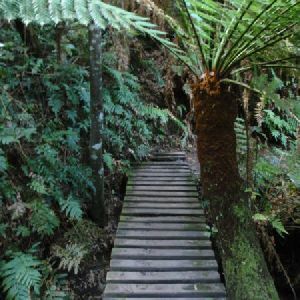 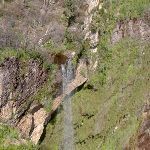 1.1km of this walk follows a rough track, where fallen trees and other obstacles are likely and another 80m follows a clear and well formed track or trail. 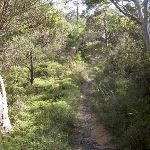 The remaining (60m) follows a formed track, with some branches and other obstacles. 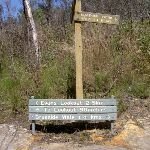 Around 1.2km of this walk has directional signs at most intersection, whilst the remaining 80m is clearly signposted. 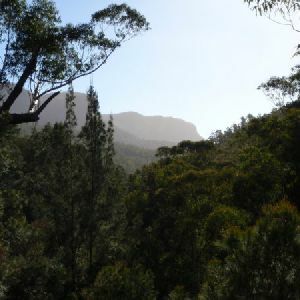 This whole walk, 1.3km requires no previous bushwalking experience. 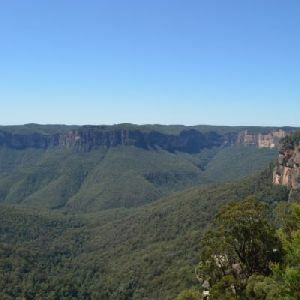 This whole walk, 1.3km is not usually affected by severe weather events (that would unexpectedly impact safety and navigation). 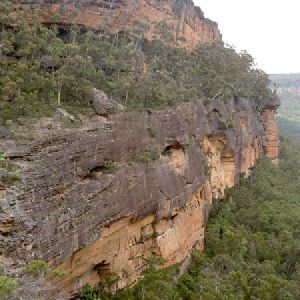 This whole walk, 1.3km has limited facilities (such as not all cliffs fenced). 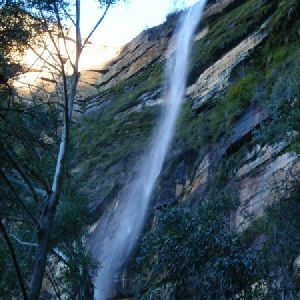 A list of walks that share part of the track with the Braeside Walk walk. 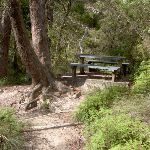 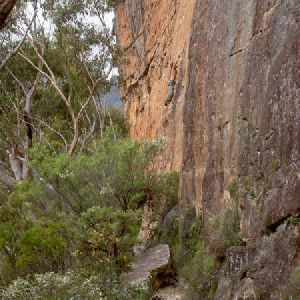 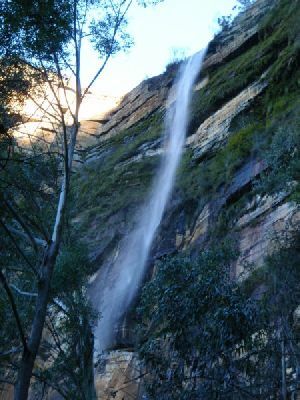 A list of walks that start near the Braeside Walk walk. 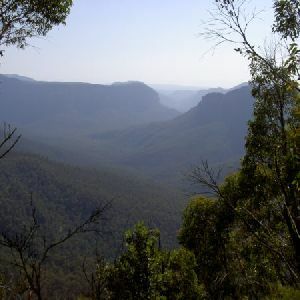 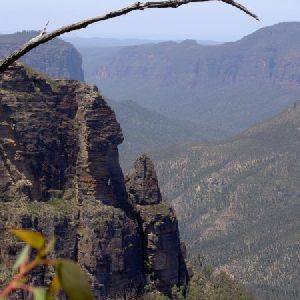 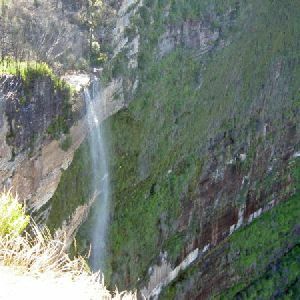 http://new.wildwalks.com/wildwalks_custom/includes/walk_fire_danger.php?walkid=nsw-bmnp-bw Each park may have its own fire ban, this rating is only valid for today and is based on information from the RFS Please check the RFS Website for more information.